IMVU is a free virtual world game that has reached has reached 50 million registered users, a social destination where members interact through the use of 3D avatars, somewhat similar to Second Life. Meet new and interesting people from all over the world, as IMVU features a huge playerbase that is constantly growing. Chat with your friends and play some games. Express your creativity in many ways and design rooms, clothes and many other accessories, or browse the virtual goods catalog that includes more than four million items, most of them created by members. 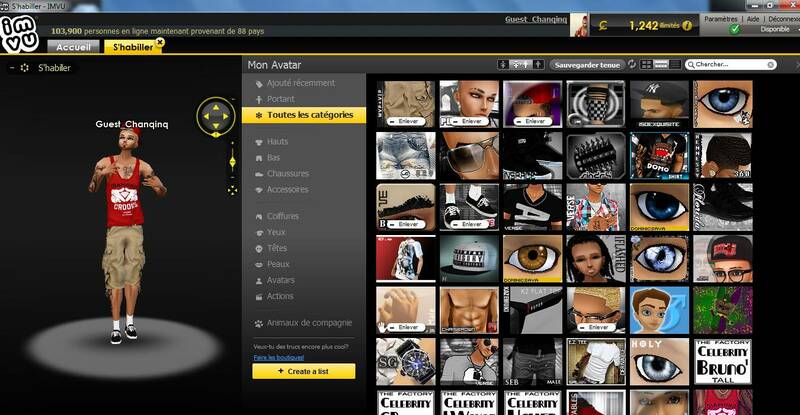 IMVU is available both for PC and Mac platforms in several languages. Free players have some restrictions, they won’t be able to create content but they are free to explore the chat rooms, make friends, watch videos and listen to music. An avatar is a figure representing a particular person in video games, forums, etc.